Coast Spas are Canadian built, but sold all over the USA. They are also sold internationally. Coast Spas make quality hot tubs including a Plug and Play series, a traditional spa line, a curved edges line, an infinity edge line (Cascade) and Micro Silk spas with skin benefits. Coast Spas also manufactures swim spas. These quality hot tubs are very popular and reliable. 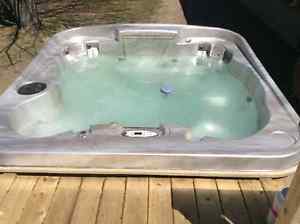 However, like all hot tubs, they require routine maintenance and occasional repairs. Just like a home or car, hot tubs require upkeep. Many of the components that go into the hot tubs are made by other manufacturers. 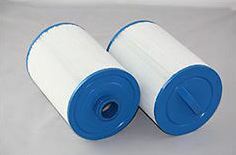 For instance, all spa manufacturers buy their filters and jets from outside suppliers. One of the most important things you can do to protect your spa is to maintain water quality. Having water that is too acidic or alkaline can affect your plumbing and equipment. It is important to get test strips and to test water quality three times a week – like every Monday, Wednesday and Friday. Adjust pH so it stays between 7.2-7.6. Use a sanitizer, like bromine or chlorine, and select your water care program based on your sanitizer. You will probably need additional chemicals, like pH up and pH down, a shock treatment and a filter cleaner. Remove and rinse the filter once a week and soak it in cleaner once a month. You can also reduce chemical usage by adding spa minerals to your hot tub water. If you regularly test and regulate the water, you will only need to change it every 3 to 4 months. Even if you maintain water quality, you will need to replace some of your Coast Spa parts over time. Filters generally last about a year. If the fibers have turned dark grey or are starting to come apart, then you need to get a new filter. Hot tub pillows soak in the chemical water every day, and tend to wear out after a few years. Ozonators tend to last 2-3 years, but you can buy a test kit to make sure your generator is still producing ozone. Other equipment, like spa pumps, heaters, blowers and control panels, can last for 5-10 years, depending on usage and maintenance. Buying your Coast Spa parts online can save you time and money. Go to highly rated provider, like Hot Tub Outpost, to find all the Coast spa hot tub parts, accessories and chemicals you need. If you are not certain which part to order, their ‘part match techs’ can find the right one for you. Shipping is free in the continental US for orders over $95.